Marlen International, Inc. [“Marlen”], a global manufacturer of highly engineered food processing equipment and systems, and a member of the Duravant family of operating companies, will be exhibiting Marlen, Carruthers, and Unitherm food processing equipment at PACK EXPO International at McCormick Place in Chicago, Illinois. 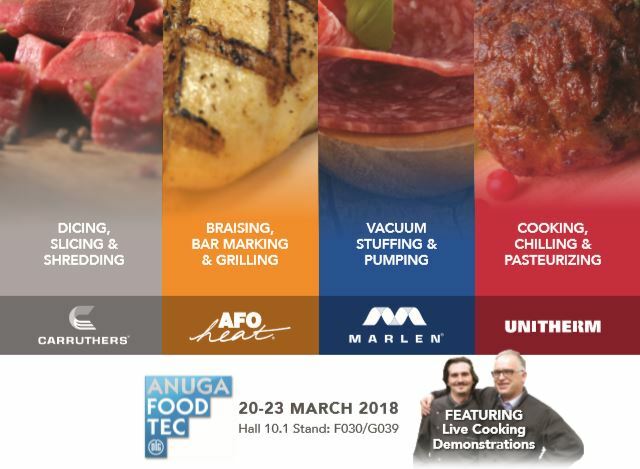 Marlen will be showcasing its Unitherm Micro Spiral Oven which will be utilized for live continuous cooking demonstrations throughout the show to promote the oven’s uniform cooking capability which results in premium product quality. Customers will learn about and enjoy freshly cooked eats such as smoked bacon, Thai BBQ spare ribs and Malaysian grilled chicken satay. 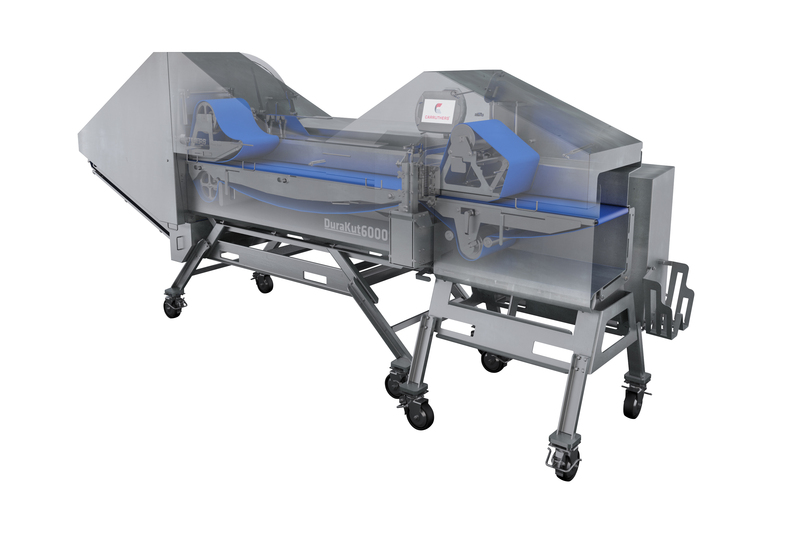 Marlen is also excited to introduce the latest enhancement to their Carruthers DuraKut™ 6000 Series VFD 2D dicer – a horizontal slicing attachment for three-dimensional cuts. With sanitation and ease-of-use in mind, the 12” CE-Compliant machine is equipped with VFD motors and features a novel approach to a parts and sanitation cart for easy assembly and disassembly. 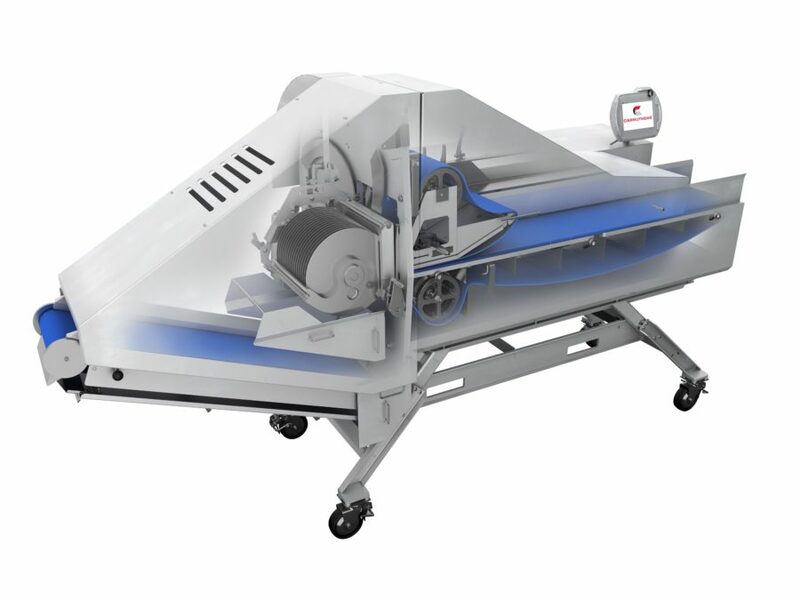 Ideal for applications such as fresh, boneless skinless chicken breasts or cooked food products such as log meats, the DuraKut is designed for continuous flow processing and high throughputs. Its platform is controlled via a smart, highly intuitive HMI with internationally recognized symbols/icons, making operation extremely user-friendly for multi-language speaking work forces. Processors visiting Marlen’s booth will also get an advanced look at Marlen’s newest Opti series pump which is powered by servo motor technology. support to all the markets they serve in the food processing, packaging and material handling sectors. 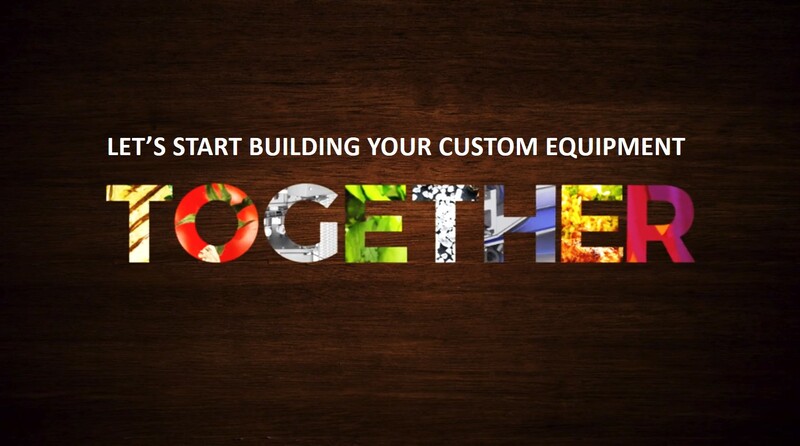 Duravant’s market-leading brands are synonymous with innovation, durability and reliability. Visit www.duravant.com.